Since Run takes place in Boston, I loved the fact that I knew pretty much all of the places that Patchett wrote about. But there were some inconsistencies that irked me a little bit, but not so much that they were unforgivable. Beyond that, I felt like the novel was just too safe. Bernard and his wife Bernadette (really?) are white, and their adopted sons Tip and Teddy are black. I felt Patchett was trying to be a little too PC and didn’t fully explore what this meant for the family, especially in a city like Boston which has a very complicated history when it comes to race. Run is like a parody of an M. Night Shymalan movie with its twist within a twist. It was unpredictable, but not in a good way. It felt like Patchett threw it in as an afterthought, trying to add more drama where it wasn’t particularly needed. The hospital scene in which this twist unfolds got a bit confusing, and I was really disappointed that what seemed like a major plot point was not brought up again. I think it would have changed the outcome of the novel tremendously, but I think Patchett wanted a neat, pretty ending. Overall, of the three Patchett novels I’ve read so far, this one is my least favorite. I still think she’s a good writer, and Bel Canto will probably be one of my favorite novels for a long time, but Run didn’t live up to my expectations. 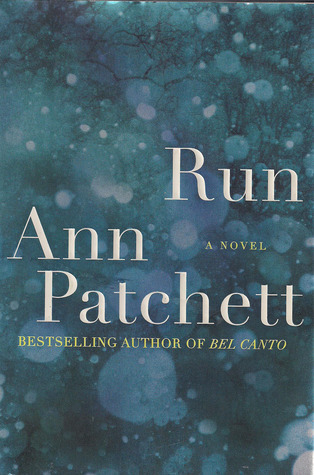 Tagged ann patchett, bel canto, Run.